Come Try Our Pizza Kelowna! Okanagan Pizza is Kelowna’s Best Pizza Restaurant! Whether you enjoy it by the slice or by the pie, you are sure to love our pizza Kelowna! New Owners, All New Pizza! 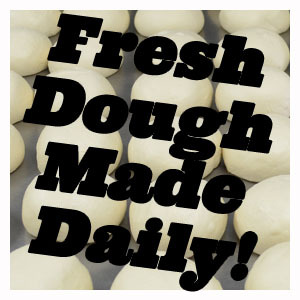 We strive to consistently produce a delicious pizza we can be proud of. With your very first bite, you will be impressed with how fresh and soft our crust is. Every pizza is loaded with the freshest meats and vegetables and topped with the finest cheese. Our amazing sauce is unlike any other you have ever tasted – it is so full of flavour, it’s like a party with every bite. Whether you are just looking for pizza in Kelowna, want something easy to celebrate a company milestone or need something to keep you going as you pull an all-nighter studying at UBCO – then there’s only one place for pizza Kelowna! You want Okanagan Pizza. We have recently made it much easier for you to order pizza. Whether you are attending UBCO or live in Rutland you can now Order Pizza Online from the comfort of your home. Our online ordering system is so easy to use, and the nice thing about it is it’s low pressure. Go in search around pick your online order see what it will cost before you commit…..it doesnt get easier than that! Why don’t you try it out, ORDER PIZZA ONLINE TODAY! For the right occasion we will deliver pretty much anywhere else in Kelowna… we believe everyone should enjoy Okanagan Pizza Looking for pizza delivery to UBCO Campus? We have the closest pizza to UBCO! We now offer you the ability to use your Student Meal Plan! No need to only eat on campus anymore!